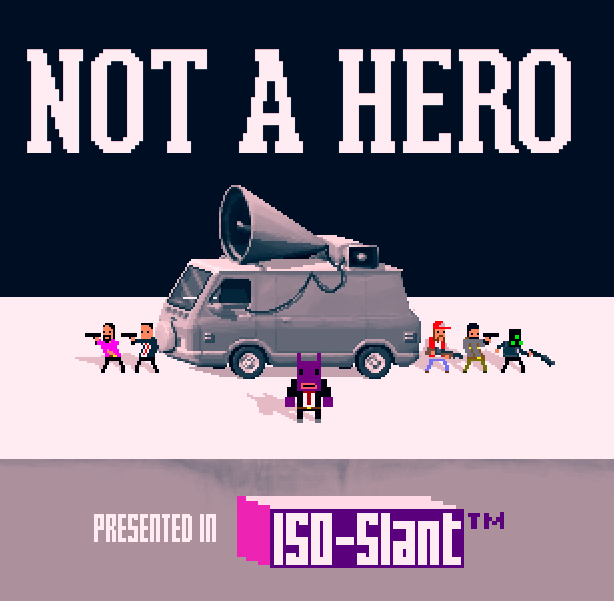 Not A Hero is a "2.25D cover based indie shooter" that will be coming to PS Vita and PS4. Players must save the city by stopping criminals. You must shoot, dodge and stab your way through a variety of enemies. Not A Hero's 2D art and gore are reminiscent of Hotline Miami. There has been no announcement for a release date for the PS4 and PS Vita version, but Not A Hero will be available on PC May 7th. Are you interested in Not A Hero? Let us know below!